A dreamer who likes to play and (sometimes forced to) learn along the way. One who has found the other very-significant-dreamer she’d been looking for, who’s agreed to work together for a better future. One who defines herself as an Indonesian who grows up in Yogyakarta and somehow survives in Jakarta. 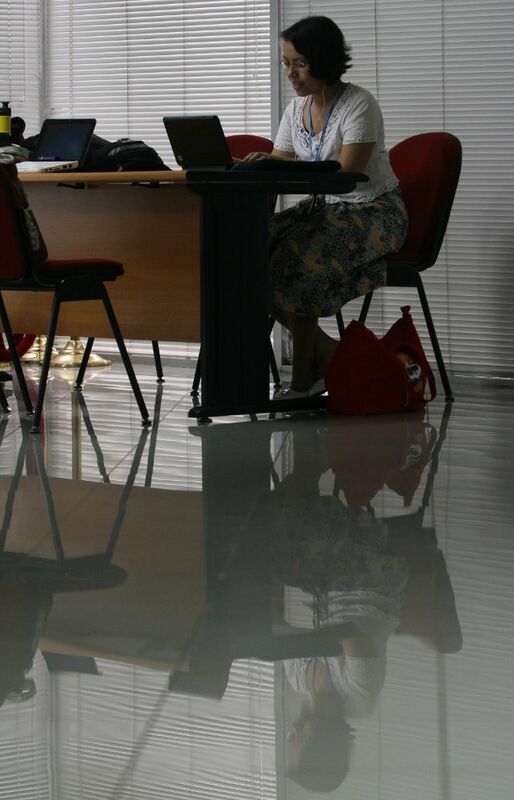 She works as Communications Manager for Indonesian Arts Coalition. She is also a communications consultant, writer, editor and translator who loves to help clients deliver good stories. Previously, she worked as promotion and publication specialist in a Trustee for almost four years, after spending six years for mass media as a reporter in the mean capital city. She had the sweet chance to studying public policy in Europe so she can keep better watch on the policy makers. Or to be a better policy maker, if that would ever happen. You can also find her in twitter. Older blog entries hosted in the multiply have been moved here for good. Sadly, all blogposts in friendster and bungamanggiasih.net are now gone. Unless noted, all pictures in this blog are hers. The one here in this page was taken by her friend, WS Jusuf, a photographer of the state-owned Antara. All posts reflects my personal point of view and do not represent any other person or organization. Blogposts and images taken by her in this website, unless noted, are licensed under a Creative Commons Attribution-NonCommercial-ShareAlike 3.0 Unported License. Glad you found interesting thing in this blog! Thanks for reading my rants.